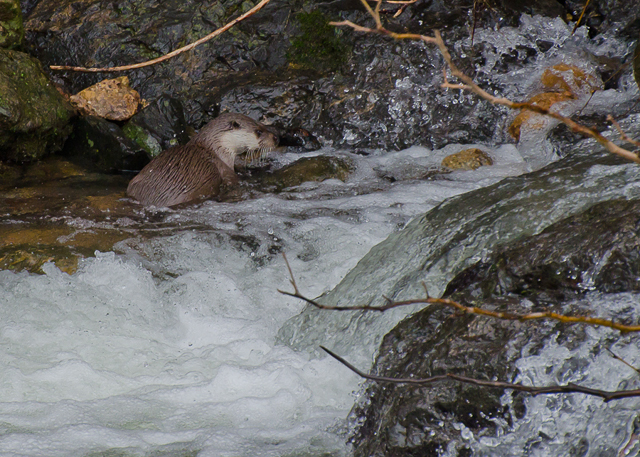 We spotted a single adult otter today. An exciting moment although we quickly lost sight of it, despite pacing up and down the river path for over an hour afterwards. Not the greatest photos especially with rubbish clinging to the branches, a consequence of the flooding in February. 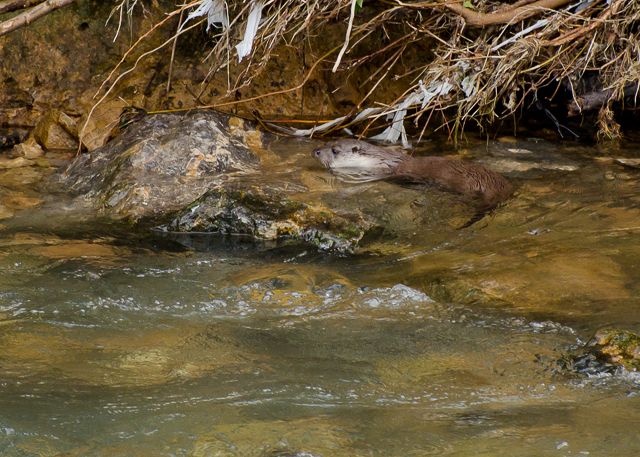 Tienes un verdadero imán con las Nutrias, yo llevo una semana prácticamente en el río y tan sólo he podido ver una escasos segundos (fotografiarla ya ni te cuento…); me ha sucedido como a ti, a pesar de buscarla río arriba, río abajo, toda la tarde, ha desaparecido y no la he vuelto a ver. Un saludo y gracias por tus fotos!! !